Posting your writing in the blog-o-sphere is a fantastic way to connect with readers, build fans, and make a name for yourself. But what happens when you’re ready to take the leap from publishing your own writing online for your readers to asking an established publisher to share your writing with their readers? If you’ve got an authentic, interesting voice and an intelligent, fresh perspective on timely topics, here are a few literary journals that might be a great fit for your short prose! Creative Nonfiction – Creative Nonfiction focuses mainly on (you guessed it!) creative nonfiction. New talent always catches their interest, but they also publish work written by prominent authors from around the world. They describe their ideal submission as: “A beautifully written, compelling narrative supported by research and engagement with the outside world.” Not quite sure if this journal would make a good home for your writing? Check out the submission guidelines here. Flyway – Flyway is an online literary journal maintained and compiled by students of Iowa State University’s MFA program. They publish nonfiction, as well as fiction, poetry, and visual art—so long as it matches their topic of focus: the environment. Flyway looks for pieces that focus on a particular place, but presents it to the reader from a new perspective. Challenge a preconceived notion about the “environment” and they’ll be happy to read it. If you’re interested in submitting to Flyway, you can find the guidelines here. Harpur Palate – Run entirely by the graduate students at Binghamton University, Harpur Palate is constantly on the lookout for the best nonfiction, fiction, and poetry. Their ideal submission would be “fresh, well-written, and compelling. It resonates with readers and begs to be reread.” When asked to describe a piece they’ve previously published that left them feeling excited, the editors suggested a story about a talking inflatable duck—in short, to impress these editors, you’ll need to think outside the box. Submission guidelines for this journal can be found here. Tell Us A Story – Tell Us A Story is a blog that publishes true and personal stories their contributors share with them. Featuring stories written by amateurs and seasoned writers alike, they provide a wide range of story topics for their readers. For their ideal submission, the editors are looking for the kind of story that makes you want to settle into a comfy chair and just listen to someone tell it! If you have a story based on something that actually happened to you and want to know more about submitting work to Tell Us A Story, take a look at the submission guidelines here. North Dakota Quarterly –North Dakota Quarterly strives to publish writing that is compelling in a variety of styles—so whether you write fiction, nonfiction, poetry, or scholarly articles, NDQ wants to see your work! Their ideal submission would present something that is fresh and exciting while not straying too far from the foundations of good literature. If you’re looking for submission guidelines for NDQ, well…you won’t find any! But they do offer a general overview of the type of writing they’re looking for. While you might want to share your recently written blog post that you’re really excited about with these editors, doing so wouldn’t get you very far. Literary journal editors very rarely accept previously published work. Unfortunately, any writing that has already appeared in print or online falls under the category of “previously published.” If you send work to these journals, you’ll want to submit fresh, unpublished writing to improve your chances of having the piece picked up! Good luck, and happy writing! Writersrelief.com is an author’s submission service that has been helping creative writers make submissions since 1994. 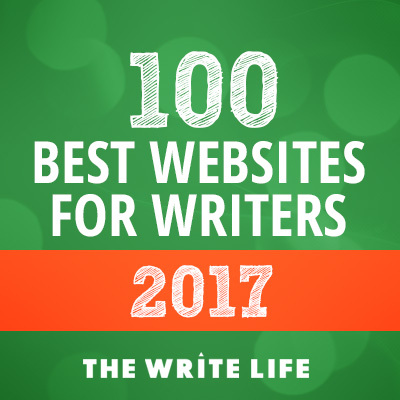 Their work is highly recommended in the writing community, and there are TONS of freebies, publishing leads, and writers resources on their website. Check it out!